Does Your Roofing Soffit Need Repairs? 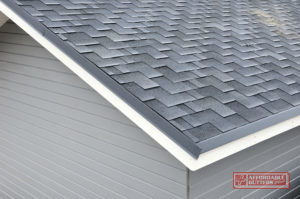 On the edges of your roof system, you will find your roof soffit and your roof fascia. Both of these play an essential role in the longevity of your roof system, so today we will go over a few ways you can tell if your roof fascia is in need of speedy repairs! One of the main roles of your soffit is to hold up your gutters, and keep water or animals from sneaking in the at the sides of your roof. With so many responsibilities, it is no surprise that they pick up some wear and tear! Across the years, the elements and pests will deteriorate your soffit. Your soffit will require periodic repair or replacement just like any other element of your roof. Inoperable rain gutters cause significant damage to a house, and will signal that your soffit needs to get replaced. As water stops up because of obstructions or emits from holes or cracks, your soffit can take the damage. If leakage from your roofing has begun to deteriorate your soffit, you will notice the presence of brown stains. As water passes through tar on the inside of your roof, it can render the brownish stains. The state of your roofing will be conditional on attending to this leak, since if you leave it too long, it will begin to rot. Buckling, another signal of water deterioration, takes place when the soffit substance has become periodically soaked. 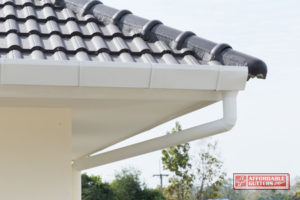 Buckling soffit is in bad need of changing, and has become damaged through lengthy exposure to a leaking roof or malfunctioning rain gutters. Call us today at 770-735-4433 to learn more! Posted in Uncategorized on February 21, 2018 at 2:39 pm by Affordable Gutters Plus LLC. 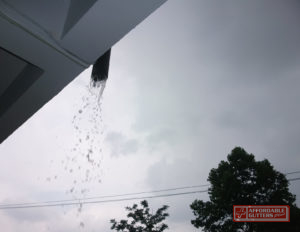 Have you noticed that your gutters overflow when it rains? Plenty of people assume that gutter overflow means your gutters have a clog. The overflow that happens when your gutters are clogged can appear similar to other types of gutter issues. Don’t put off gutter repair. When You Need Gutter Cleaning or Gutter Repair, Come to Us. 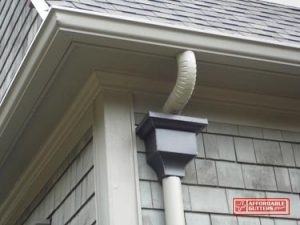 If your gutters overflow near the downspout, that probably means you have a clog inside the downspout that is preventing the water from moving all the way down and away from your home. Overflow in the middle of a gutter is probably something else entirely. There are a number of potential reasons for overflow. Your gutters might simply be too small. Or, you might not have enough downspouts, or leaders. 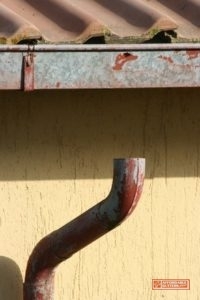 Gutters that sag, or pull away from your home will not contain water well. These problems won’t be solved by gutter cleaning. You need professional repairs, and possibly new gutters from Affordable Gutter Plus. Continued overflow can become a very real problem if it’s allowed to happen too long. Improper water runoff leads to damage of your home, your foundation, and your landscape. Gutter cleaning is an important part of gutter maintenance. When cleaning isn’t enough, gutter repairs should be scheduled immediately, preferably before the next rain. You can maintain you gutters, but you need help when it’s time to repair them. Trust the gutter professionals at Affordable Gutter Plus when you need gutter repair. We are your go-to for all your gutter services in Canton, GA. Call us at 770-735-4433. Posted in Uncategorized on January 16, 2018 at 7:25 pm by Affordable Gutters Plus LLC. How clearly can your home’s gutters be seen on the exterior? By neighbors? By people driving by? If they are mostly hidden from the front curb perspective, you probably have less to think about with color. In cases like this, it might be wise to just choose the cheapest available option. To add to the aesthetic appeal of our home, we want each element to work with each other from a decor standpoint. Sometimes this means making your gutter the same exact color as your roof, whereas other times it means accentuating it with more complimentary shades. Much like the roof, matching your trim color to your gutters makes for aesthetic curb appeal. If you are thinking about moving in the somewhat near future, matching your trim and gutter colors could be a smart investment idea. To further discuss gutter colors, and which shade best matches your home, give us a call at 770-735-4433. Posted in Uncategorized on November 10, 2017 at 7:38 pm by Affordable Gutters Plus LLC. 5 Reasons Why You Need Roof Flashing in Canton, GA. 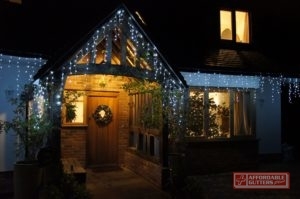 The flashing on our roofs is incredibly important. 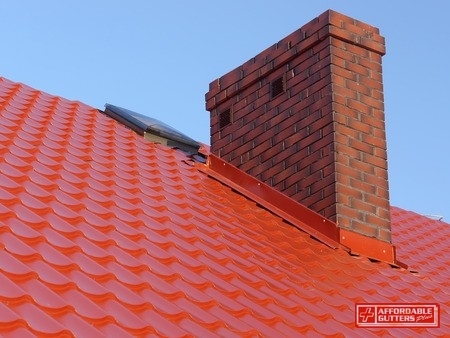 Areas on the roof such as a dormer, skylight, chimney, and vents require flashing. But why exactly do these things need flashing? Below are reasons why you need roof flashing. Without roof flashing, you can be sure that there would be leaks. Because the flashing is used to keep water out, it’s important to have it on your roof to prevent leaks. Since the flashing on your roof is a barrier to keep water at bay, it’s important to have flashing in the crevices and areas that are susceptible to leaks. If leaks do happen, it can produce mold on the roof, which is never good. If water gets in the home because of poor roof flashing, it can cause damages to your interior walls, ceiling, and other parts of your home. Roof flashing can keep air in your home and without out, you are looking at air escaping your home. 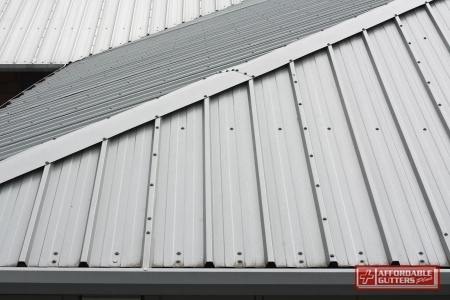 Not only can roof flashing the areas that it protects, but it can affect other parts of the roof, as well. These are valuable reasons why you need roof flashing. If you require roof flashing repair and installation in Canton, GA, look no further than Affordable Gutters Plus, LLC. We can help you with roof flashing when you call us at 770-735-4433 to schedule an appointment. Posted in Uncategorized on August 29, 2017 at 4:30 pm by Affordable Gutters Plus LLC. New gutters come with a host of benefits for the home. New gutters and downspouts accomplish a great number of advantages to your home. If you persist with old or damaged gutters, the drawbacks could include damage to your fascia, soffit, staining to your walls, and foundation issues. You should also take into account the curb appeal of your home, and what new gutters can offer in this regard. Generally speaking, new rain gutters can bring the following benefits. The gutters themselves do not present the only improvement to your home’s physical appearance. Old or damaged gutters can also negatively affect your curb appeal through the stains they encourage along your walls. As water overflows or leaks from old gutters, it will over time create unsightly stains. As drainage fails to happen correctly with your old or damaged gutters, rainfall will collect around your foundation. This water will eventually leak into your basement to create a tendency for floods. This contributes to foundation problems, will damage or destroy items in your basement, and encourages the growth of mold. 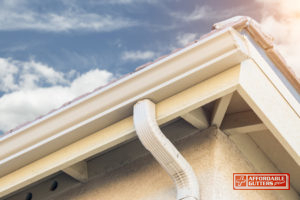 New gutters and downspouts encourage the relocation of water safely away from your home and foundation. Water will often back up with damaged or non-functioning gutters. As this happens, the water will pool on your roof and cause major problems. Standing water on a roof creates leaks, and also degrades your roofing material to contribute to future problems. Soffit and fascia can also become damaged, which leaves your roof vulnerable to future storms and pests. If you want new gutters in Canton, GA, call 770-735-4433 today for Affordable Gutters Plus, LLC. We stand as the area experts for gutter installation, and can ensure a job done to the highest standards. Posted in Uncategorized on July 27, 2017 at 4:29 pm by Affordable Gutters Plus LLC. For safety’s sake, wear gloves and use a trough when you clean your gutters. As a vital part of your roofing system, gutters require routine maintenance in order to function properly. Aside from aesthetics, clean gutters bring a lot of benefits to your home. Dirty, clogged gutters can result in water damage to your siding, doors, windows, foundation, and basement. Through the transfer of water to the perimeter of your home, gutters provide a crucial line of defense against the elements. Professional gutter cleaning from a dependable company like Affordable Gutters Plus represents the easiest, safest pathway to clean gutters. If you want to do it yourself, however, follow these three steps. To clean your gutters safely, you’ll need a few items. A sturdy ladder lands first on the list, as it will provide your base of operation. You’ll also want gloves to protect yourself from metal edges and debris. Most importantly, let someone know that you are cleaning the gutters. In the event of a fall, you’ll need this person to call for help. Use a garden trough or similar tool to remove debris, and take care not to damage the gutters. After you finish, use a garden hose to flush the gutters of small debris and dirt. After you clean and flush your gutters, you’ll want to check the downspout to ensure that water flows properly. If it does not, then you have a clog. Use a pressure nozzle to shoot water into the downspout. If this does not clear the clog, you’ll need to either use a drain snake, or call for service. At Affordable Gutters Plus, we bring clean gutters to Canton, GA. To schedule service, call us today at 770-735-4433. Posted in Uncategorized on May 23, 2017 at 4:25 pm by Affordable Gutters Plus LLC.